Looking for a fantastic home for your family? Or perhaps the perfect place to retire? 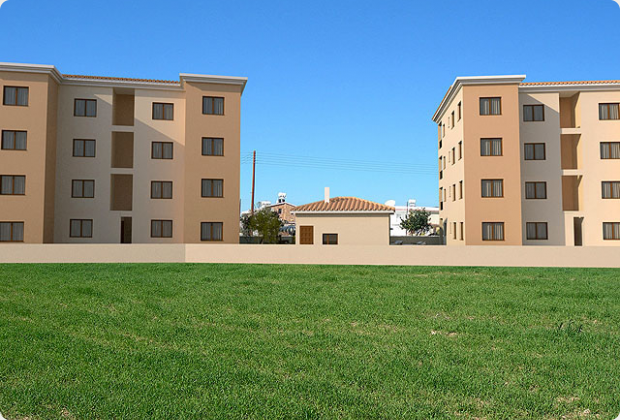 These spacious well planned 3-bedroom homes are superb for residential living or rental investment. This area will definitely be ideal for those looking for the convenience of modern amenities close at hand, but also the friendly atmosphere of traditional village life. There are only 16 apartments in this development. The apartments have fantastic good-sized balconies that extend right across the kitchen/dining and living areas. There are 3 bedrooms and 2 bathrooms (en-suite to master bedroom and family bathroom). 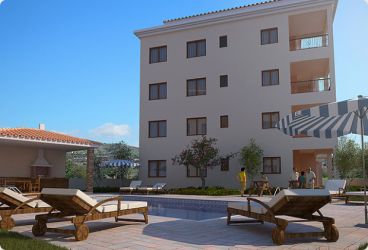 Lifts to each floor, designated parking and attractive communal area with communal swimming pool, relaxation and BBQ area. Smart granite worktops will grace your kitchen and the provision for satellite television is included. Anavargos is a quiet village with a traditional square, a picturesque whitewashed church and locally renowned tavernas serving delicious home cooked food. 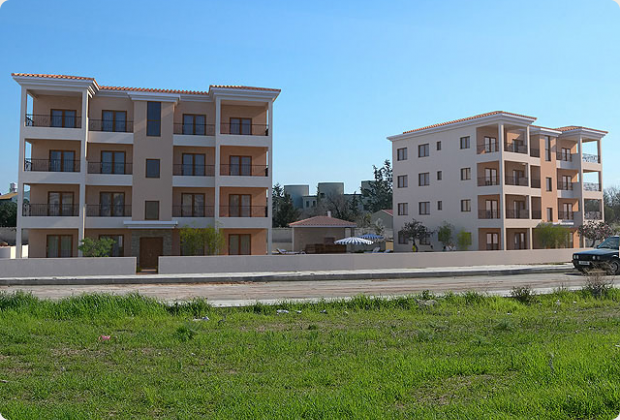 All the amenities of Pafos, including the General Hospital, are just 5 minutes drive away, you will also be in walking distance of the excellent modern International School (kindergarten to sixth form). There are local shops for all those items you may need in a hurry! 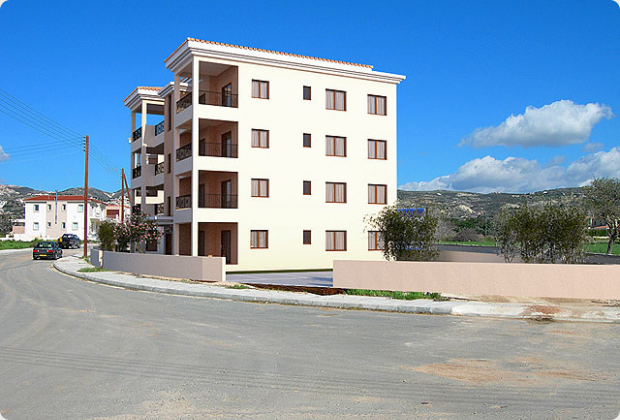 It enjoys elevated views of the sea (only 10 minutes drive) and Pafos in the distance. Just above the humidity level, the climate is comfortable in the hot mid-summer sun. You can really make the most of your life in Anavargos.